These are both *huge* things. Even if you're happy with how it works now (and I mostly am), the possibility of suddenly being unable to work with or usefully access old designs because Altium shut the server down is an immediate deal breaker. Full stop. Further, as far as version issues go, if you're collaborating, the Altium cloud sharing/versioning isn't terrible from the little bit I played with it, but it's not great either. There are plenty of better tools which you cannot use because of the way this is setup. Not a deal breaker, but if you are honestly having issues because you're just shuffling things to/from google drive, there are plenty of other solutions. Observing that any solution (Altium's) is better than basically no solution (shuffling files via google drive) is silly when there are plenty of free and low cost better solutions out there. If we ever shut this down we'll unlock your ability to store these/work on them locally. Or we'll export them to some other formats and send them to you. Would alleviate most of my concerns. But I have no idea how you'd actually structure such an arrangement, it's really just a fairy tale. I don't care that others can see my crappy work. I don' care (much) that I might get stuck being able to tinker for a bit because some piece of the internet between is being cranky. I *do* care that I could lose everything I built with this tool at the whim of Altium. Are others able to register? Please try registering again in an hour or so." If you signed up early for updates on CM, you get this error when you try to sign up on the website. Somehow your email is locked out if you have already signed up. Check your email for an email with registration information and click the link provided. *Then* it will work. Of course they would. CS is currently ADx ($5k package) with a slightly different interface, right? CircuitStudio is $3000 USD + $500 p/a, Altium Designer is $8000 USD give or take $1000, with $1000 p/a upkeep. They are not the same, CircuitStudio is the offline version of CircuitMaker and misses some of the high end parts of Altium: CAM tools, Signal Integrity, FPGA integration, Hierarchical Schematics, ...others? and doesn't share keyboard commands but more critically CircuitStudio has the same total pad count limitation of CircuitMaker. No, there is no licensing to worry about, and no subscription to maintain. CircuitMaker is totally free, giving you all the tools to think big and make cool stuff, with features and functionality to facilitate creation of diverse and challenging designs. So without a license you should have no legal worries about creating a slightly different version of the tool that enables offline mode? No, there is no licensing to worry about, and no subscription to maintain. Altium's FAQ says CM/CS's upper pad limit is 50k. No loss in performance under 5k. Have many >10k pad designs? 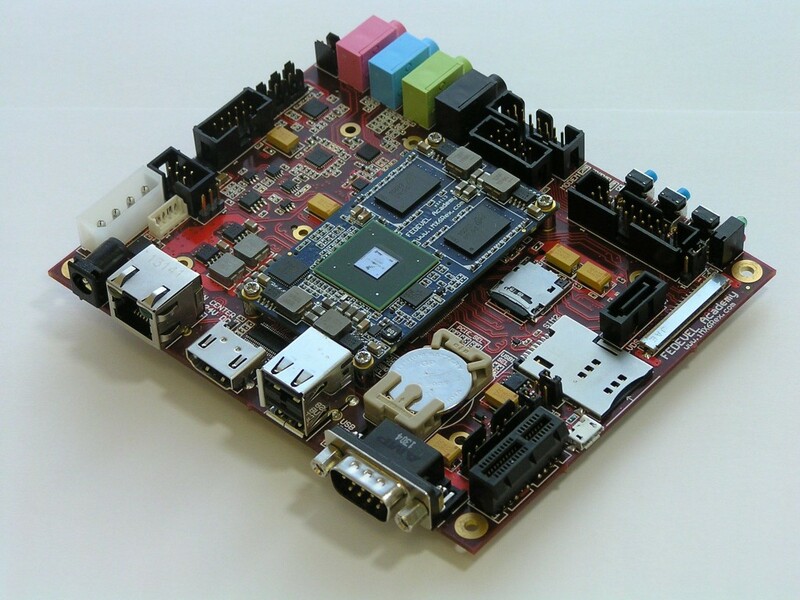 For reference this iMX6 REX project from http://www.fedevel.com has ~2k pads: The red board ~4k? I haven't seen many CS productivity limitations beyond learning a different set of hotkeys and a different user interface. I'd try it out, but I'd rather spend a couple hundred more and get AD15&16. Just to be clear, Altium only sells their software for $8k to big companies who don't care what it costs. REAL people who work hard for that money negotiate and pay <$6k easily. Don't be a sucker and pay retail folks. I think we're both saying CS should be cheaper... $800 is a great price.... but I'm sure you'll agree that it needs more limitations than what it appears to have now for that to make sense, right? I have tested Circuitmaker for the past few days and at the moment, the part-library is just too limited for my projects. The only way I'm going to use it for a while is probably to overcome the size-restriction of Eagle via the Eagle-Importer of CM. Creating new parts in CM is just too unintuitive for me. Eagle does a much better job with that. How do I connect the pins of the components footprint to the ports of the schematic symbol for example? I'm assuming that I'm doing that by assigning designators, but it isn't specified in the documentation. am I the only idiot that just doesn't know how got this thing going? After registering in their web I got an email with an "activation link", that pops up directly to a nice login/password screen for wich I have no login or password. I've already contacted them by email and twitter, but I'm still waiting. Is that the normal? am I missing something here? I'm an electronics engineer by profession, but in a different field (ASIC/MCU design). I have been doing circuit boards on a hobby basis for about 10 years, most of them ends up not being finished or are ongoing projects (never had time to finish). Most of these boards are simple boards and dont require fancy features. Since the boards usually are small I have been using Eagle for these (free version). Since I learned Eagle first I just ended sticking with it for hobby projects as I did not want to spend a lot of time learning new tools for each design I did. Eagle for the most OK, but could be a bit hard to use in some cases (as I did not spend time to learn it proficient). At my first summer internship I was making PCBs for a company, and I used Protel99se I think it was. It was a new world, but of course too expensive for hobby use. I probably did a couple of designs in Protel and later a few designs in Altium for this company, so I got semi proficient in using it. The fact that I now can use a similar tool for free is great IMO. I know how to use it, and I dont have the limitations of Eagle. Most of my hobby projects I dont mind being public. In fact I think it is great as this made it much easier to make the project public. No hassle with setting up a site for my project, uploading files and similar. Great. But I also have projects that I dont want to have public, mostly due to the fact that I spent a lot of time on these, and I would like to get something back if I make it public. In any case I had to try it. This my experiences after a short project import from an eagle project. Register, download and install took about 3-4 minutes (I have 50/15 Mbps download/upload), no issues. Setting up and importing eagle project was not a big problem, except that I had to install a newer version of eagle and update my eagle files to new format. Import process was all most OK. I did lose some silkscreen graphics that I had added in eagle. I didn't spend time on checking the status of the board and schematic, but it looked OK at first glance. As good as one can expect I guess. Committing files worked OK. Releasing seems to be OK* also (did not spend much time configuring it). Release name ended up with a stupid long unreadable string. There should be some option to set a release version number or something and add a release comment (same as for commit). I guess this will be fixed. -Local only project, yes I want it, happy to pay $$ for it. -It must be possible to have several projects with the same "readable" name in the community (if I got Dave right, this was not possible). And the price have to be right for the different features. I for sure wont spend a lot of $$ on PCB software as I'm not using it a lot and I cant defend the cost when it is anything close to $1000. It would then be much cheaper for me to buy all the things I otherwise would make myself (it probably already is...). I use Altium day to day, as well as a few other CAD tools for various projects / reasons. We have recently upgraded to 15.1.12. I downloaded CM to tinker with and it was OK, but very very limited, like the internet / cloud dependency drove me absolutely nuts that I could only develop whilst within range of a network connection. That said, I downloaded a special version of Circuit Studio 1.04, and it had everything I needed, subsequently I downloaded the newer 1.1 and that now has .step exporting for MCAD and works so much better than CM with actually being able to open and save files locally properly! I am hoping that AD 16 will support opening CS files and that CS will open AD files (haven't tested) I think CS will open AD15 schematic files but not PCB files. I have removed CS from the test machine as I use AD15 as I said, but although over priced, it is certainly more comforting to use than CM. If I understand it correctly, CM now has 3 Sandbox-Project-Slots, which are Local Only. So that part has been fixed. Access to thousands of ready-to-use components from real-world vendors. Access to a community for sharing ideas and collaborating on your design. Access to 30 years of PCB design technology from the experts at Altium. THERE’S NO REASON TO DELAY YOUR NEXT ELECTRONICS PROJECT, START TODAY. Not even a cynical * on the unlimited claim, you have to hunt around quite a bit to find what they actually limit. But the web 2.0 user content/comments/blogs/posts all across the internet are churning all sorts of claims as to how you get the whole Designer experience for free, when some very important parts are in fact missing. Even when they do disclose the pad limitation its full of inconsistencies. What are CircuitStudio's design limitations? While there are no 'hard limits' per se, the software has been engineered to make it impractical for use with large designs. To this end, the PCB Editor will start to exibit performance degradation when editing designs containing 5000 pads, becoming virtually unusable with designs containing 50,000 pads. Degradation itself takes the form of progressive slow-down in PCB editing functions (such as routing, placing components, polygon pours, etc). So its unlimited, but not able to be used? Also this VERY IMPORTANT DETAIL is hidden away in the back of the FAQ and was added a week or two after release, so you could have bought the package without any information of this underlying limit of your "Unlimited" software. Its this sort of conduct thats keeping me away from putting any money into CircuitStudio, if they had come out upfront with the feature comparison and made clear the limitations then the pricing still would have been borderline but while they arent disclosing the "features" I'm going to pass. To be honest hotkeys in CircuitMaker has been an extremely emotional topic, both internally and externally. Everyone has their opinions and preference. Those that are Altium Designer users want them the same as Altium Designer. Those that are Eagles users want us to make them the same as Eagle. One of the challenges is given the ribbon menu structure making all the keys the same as Altium Designer or Eagle does not make sense. Each Ribbon has it's own accelerator hence 'P' activating the Project Ribbon. For an Altium Designer user 'P' 'P' makes perfect sense as it reflects the Place->Part menu. For a new user in CM there is no Place menu so the context of that hotkey structure does not make sense. What we've decided to do is incorporate Altium Designer hotkeys where it makes sense and than map the other keys to single keys that would be obvious. An example of this would be just 'P' instead of 'P' 'P' to place part or just 'W' to wire a net. Hopefully this offers some clarity and once again this in no way was to make the software less productive. More interesting, he has promised on the CM forums that there will be an intermediate product with local saves between CircuitMaker and CircuitStudio. They plan it announce it soon. If THAT's reasonably priced, and they don't screw it up by making it impossible to migrate files back and forth from "cloud" files to the intermediate version, now we're talking. I'd take a very serious look at something like that. Of course, you need to do away with the "tethered to the internet and everything is public" nonsense too. Leave that out, and I'm back to , especially for a paid program. Get rid of the stupid ribbon. We used subversion for everything at Altium when I was there, so that is likely. AD is more than a few hundred more than CS, it's about double. It's rare that I get genuinely annoyed, especially at someone else who is screwing themselves - but in this case, Altium is being really annoying. It seems incredibly obvious that they are missing a huge opportunity. I can't tell if they are just inept, or (like I've seen in other places) management is so afraid of doing something new or losing something they already have that they actively end up screwing themselves over. That is Altium's specialty unfortunately. I thought this would change once Nick Martin left, and is has a fair bit, just doing CM itself is HUGE step forward. But yeah, ultimately they can't figure out the market, because they have no one left inside the company that really knows anything about the real world. They know ECAD tools, and do them pretty well, probably the best, but they don't know the market itself. Yep. I'm starting to think another dedicated Altium rant video is in order? I deliberately left most of that out of the CM video I just did. You are correct, in that retail is double and everyone is free to pay it. Although a little while back our bank account dropped ~$3800 (few hundred more than CS). Then like magic AD15 showed up on my computer! I tried to get CS for <$3k and it wasn't happening. Maybe you got CS for $1900? To be fair, I can't speak for your neck of the woods either. Maybe they draw a hard line in the sand due to the relatively inactive electronics industry down there? Was the $3800 with or without the support contract? The more I think about this - I think Altium is onto something here with their plan. No one will want to use CM for "business use" with projects being forced to be public - so it won't cut into their corporate-type sales - and at the same time, the OSHW community should eat it up - it will be a robust, professional tool, without limits, and no commercial restrictions. Just what OSHW people have been asking for. And if they keep the back end of the software the same as AD - it's not going to be a burden on the company to keep up to date. All that, and at the same time, they are talking a page out of Apple's old playbook of putting the tools in the hands of students. Students who will flock to CM knowing that it will look good on their resume(well better then Eagle Cad would I suppose). And I have to assume even though the interface is different then AD, it's not going to be a huge leap to move from CM to AD when it comes time to get a job. There's going to be a vocal minority with bad internet connections that will hate it. But that's a small percentage of people. They have to make it an online only tool, and force the project files to the public so that it won't eat into AD sales. To be honest hotkeys in CircuitMaker has been an extremely emotional topic, both internally and externally. Everyone has their opinions and preference. ..so put all the mappings in a file and let users choose what they prefer. if a company like Altium can't figure something as simple as this out then there's really no hope for them. Nope, they just have to set sensible limits. Their problem here is that they gave practically everything away for free. That's both noble and completely stupid. They can easily make money from CM, whilst protecting AD. At present they are making zero money from CM, left CS no-man pricing land, but they have protected their one and only cash-cow AD, as you'd expect.